Virtual Forests is an experiential initiative from TD Bank to showcase their eco-friendly efforts. 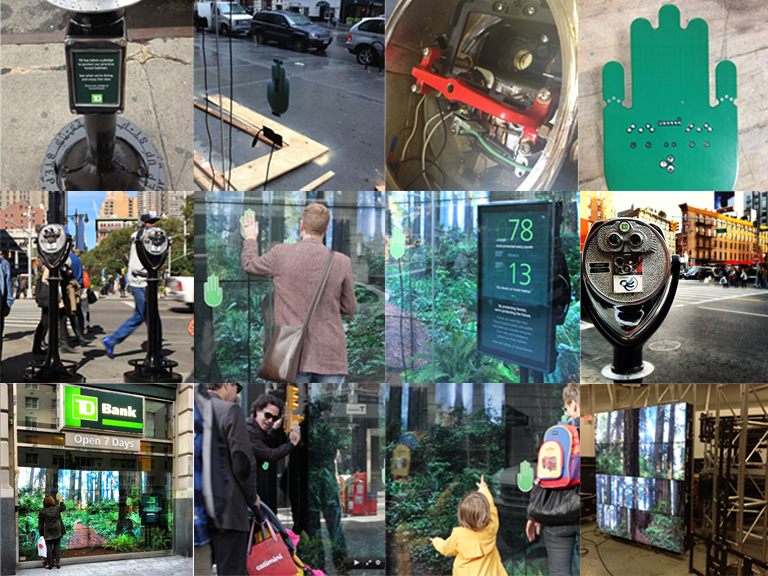 Instead of creating a traditional digital campaign (the bank's initial suggestion) we created two digital experiences that brought the trees and their inhabitants closer to New York residents. A few shots of the build of both the viewfinders and the virtual forest wall.